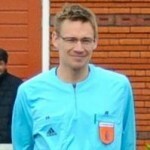 Why you need to keep up with the secondlast defender as assistant referee? To make sure you’re able to recognize offside. Duh! But that is easier said than done. A great example from one of my games. Back to August, my season starts in a few weeks. But I am not there yet. Focus is an issue during my frienly games. Paying attention gets better after two games. Quote from a previous blog post. “I realise I am quite sharp when it comes to offside, but I tend to follow the game when not playing in my half.” What I do then is walk or run back too slow, which gives me a bad position. That’s the cause for lots of mistakes, but I was lucky. 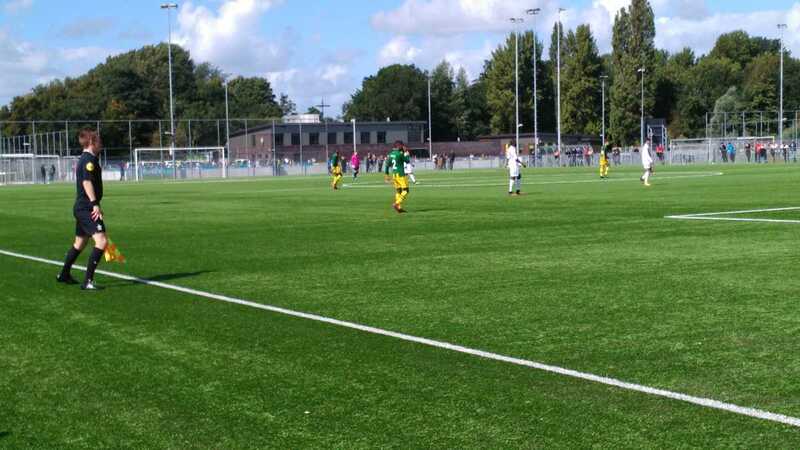 A ADO Den Haag player gives a bad pass in the build-up to an attack. That means: huge chance for a counter-attack, which happens. The Vitesse player in white passes the ball forward. Have a look at the screenshot below. The white attacker in the circle is in offside position, but the one just outside the circle is not. What decision did you make after watching the video? 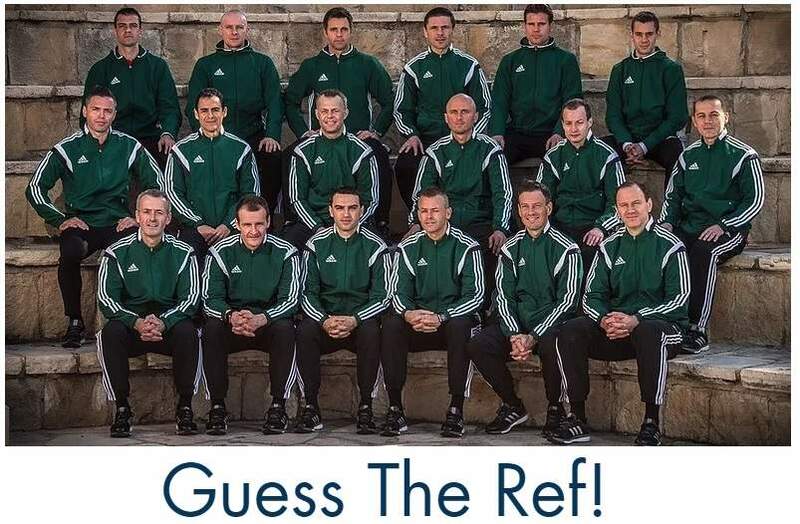 The ball is going to the attacker who is not in offside position. I kept my flag down, but was lucky indeed. In the picture below you can see where I am. Because I deleted the pause buttons, which makes the pic a bit better, you can’t see my shadow. But I’ve pointed out where I am. Indeed, nowhere near the secondlast defender. This example shows you that you need to stay focused for 90 minutes. You can’t relax. Always make sure you are in the right position and be prepared to deal with counter-attacks. My season is going well so far. Although I am usually no assistant referee, I am sharp and ready for it. How is your season start? PS: want tips on how to deal with counter-attacks as referee? Read this great case study from Leicester City game. Don’t be so hard on yourself! They teach us here to be a few feet ahead of the last defender so it appears you would still be in a good position had that guy gotten the ball. And nothing beats a right call, but I think refs should be focused on details when you want to improve. Always write down one thing that you were not happy with. Can we still have laws of the game quiz this season? it keeps me in tune to Tuesdays and really liked the way the questions are twist! Hi Adamu, nice to hear you liked them. They will be back next Friday (15 Sept 2017). Good luck!